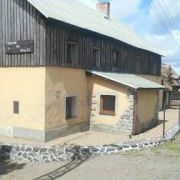 Pension in Udoli Kralu (King´s Valley) are situated 150m from the chair-lift by the hotel Nastup. Rooms 2x4, 1x5 … More » , 1x3 beds have own sanitary facility. View to mountain Klinovec, own parking place. Typical mountain cottage was completely rebuilt and offer comfort and stylish accommodation in 6 apartments with … More » own toilet and bathroom. Guests can use two common room, 2 large kitchens, dressing rooms, ski storage. Only half (10 perosons) or whole cottage (20 persons)! 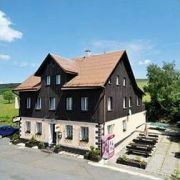 Guesthouse in the picturesque village of Haj pod Klinovcem meets your needs for accommodation in the Ore Mountains … More » . Accommodation in rooms with 2-5 beds, bathroom, TV and free WiFi. Your children are welcome. 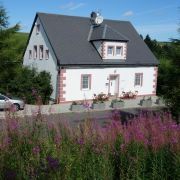 The cottage is located in village Haj u Loucne, 1.5km from the highest mountain of the Ore mountains - Klinovec … More » . The capacity is 16 beds. 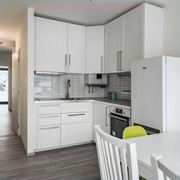 Home atmosphere, storage of bikes, cot, private parking, outdoor seating. 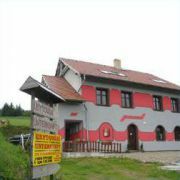 Completely new reconstructed apartment-villa *** in the village Háj u Loučné, under the mountain Klínovec. 2 apartments … More » for 4-5 persons and 1 apartment for 10 persons. Smart SAT-TV, DVD, radio with CD. Own parking place. Skibus free of charge. Ski centre Klínovec 2km. WiFi free of charge. 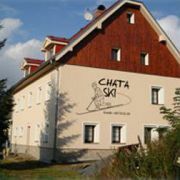 Pension is situated near skiresort Klinovec (2km), accommodation capacity is 40 beds in rooms for 2-7 persons, … More » bathroom is at the floor, own parking area, restaurant, common room. Activity, entertainment and relaxation all the year round in our hotels. 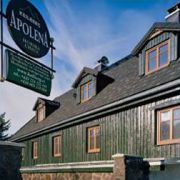 The hotel is located directly by the ski … More » slopes of SKI resort Klínovec and the main cyclyng tracks of Ore Mountains. Mountain cottage with three apartments is situated in the village Loucna pod Klinovcem, near the ski resort Klinovec … More » . 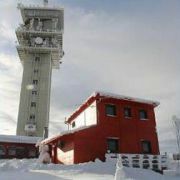 Ideal for winter and summer tourism. Ideal for groups. Apartment house Na Kozim placku is located in the picturesque town Loucna pod Klinovcem in the part called "Kozi … More » Placek". The house has recently been completely reconstructed. It offers accommodation for up to 24 persons in 4 double, 2 triple and 2 quadruple apartments. 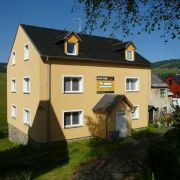 Mountain cottage 2+1, 50m2, two terraces, own garage (33m2), two bedrooms, fully equipped kitchen, shower. Maximum … More » occupancy 4 persons. 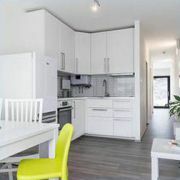 Modern mountain cottage 4+1, 100m2, four terraces, own double garage (50m2), living room, three bedrooms, fully … More » equipped kitchen, shower. Maximum occupancy 8 persons. 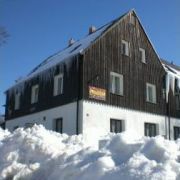 We offer the mountain cottage for rent, which is located on the top of mountain Klinovec (directly above the ski … More » slope U zabityho). 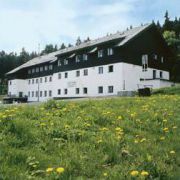 The database contains direct contacts to owners of accommodation in Loučná pod Klínovcem. Reservations are passed without any middleman and commission!